Hi lovelies! Today I have November's MeeBox to share with you. 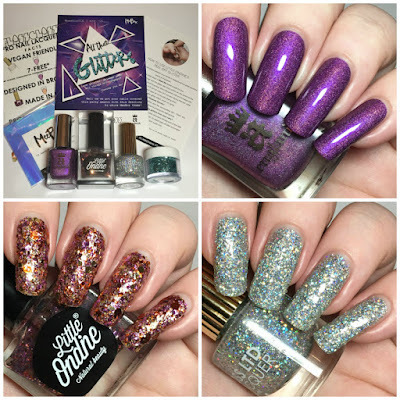 If you missed last month's box, you can find my unboxing and swatches here, and nail art look here. Thankfully I'm not running quite as late this month! 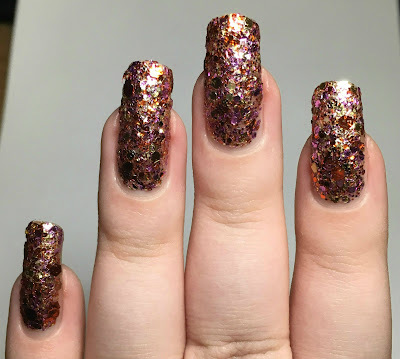 November's theme is 'All That Glitters', and is full of sparkly goodies. 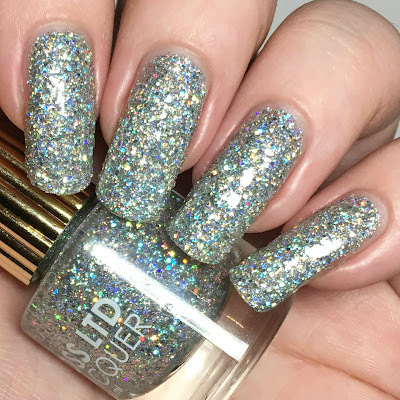 Read on for a closer look and everything inside and full swatches of each polish! First up is A-England 'Crown of Thistles', a gorgeous bright purple holographic. I actually already have a bottle of this, so my dupe has happily been passed on to a friend. However this is stunning. It has an amazing formula and is almost a one coater. I did two thinner coats, but you could easily get away with one thicker coat. Below is two coats and topcoat. 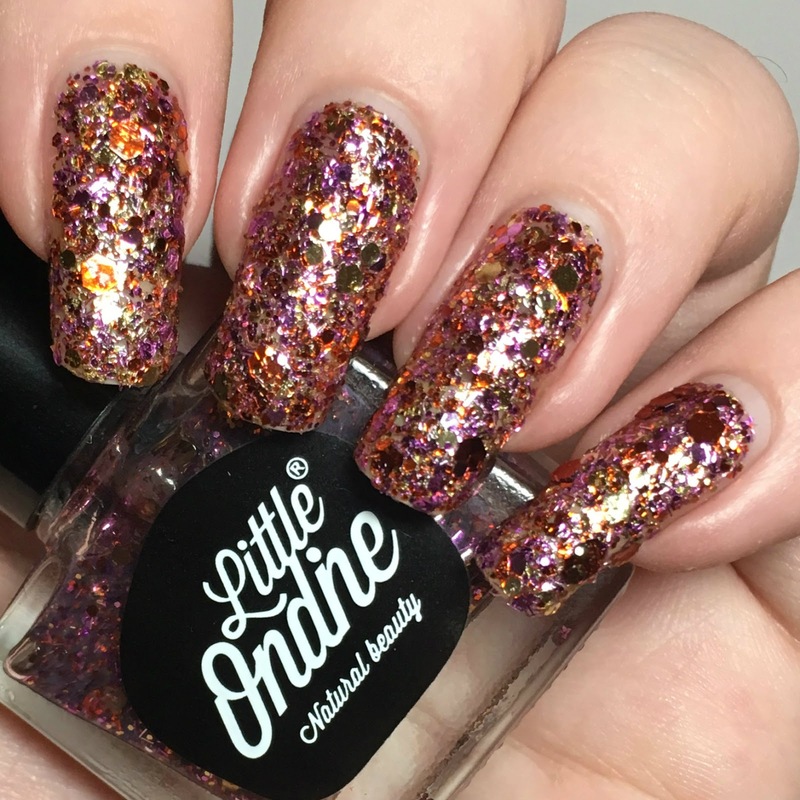 Next is Little Ondine 'Rumba', a clear base with purple, orange and gold glitter in hexes and bars. I've never tried this brand, but I've always been interested in trying one out. They claim to be not only odorless but peel off, both of which I can happily confirm. It doesn't smell of anything at all, and once dry it easily peeled off. Below shows full opacity using the sponging method (without topcoat). I also tried this as a topper, and I have to say I much prefer it this way. Below is one coat over Essie 'Cascade Cool' (I will have a swatch picture up on my Instagram soon). 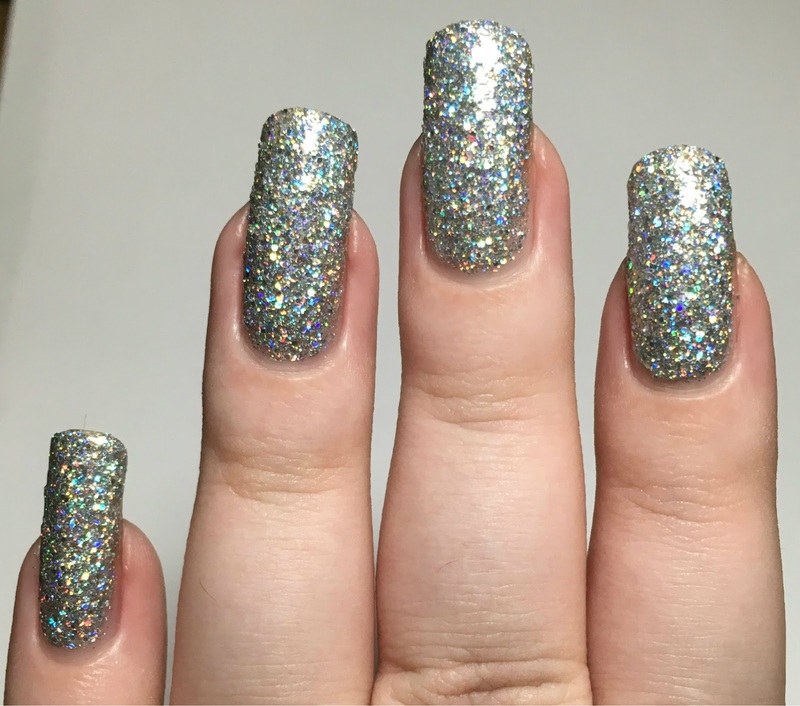 Last up is Floss Gloss 'Dime Piece', a clear base packed full of holographic silver glitter. This is another new brand for me this month. 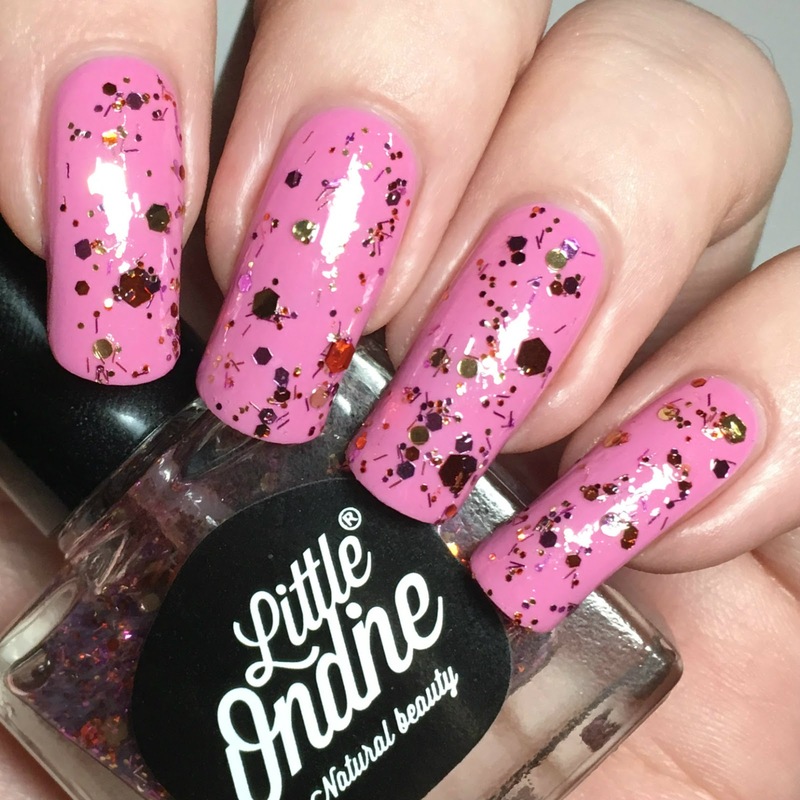 Similar to the Little Ondine, this has better coverage when sponged on. I did get it fairly opaque in three coats though, so it's down to personal preference. My swatch below shows sponged glitter with two coats of topcoat. 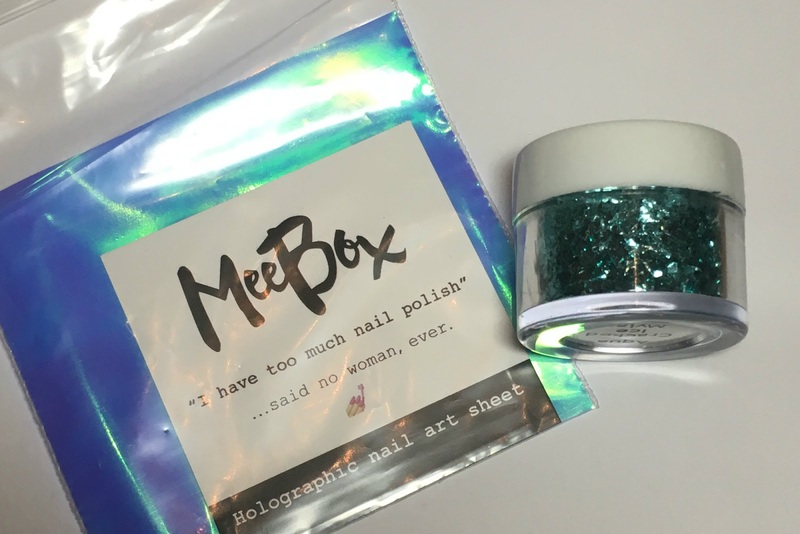 For our nail art extras this month, we received a holographic sheet from MeeBox themselves. 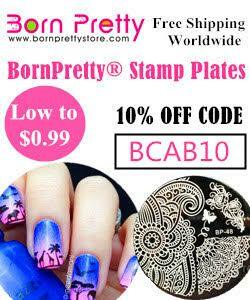 I believe this is supposed to be cut up to your desired shape and placed onto your nails. We also received a pot of aqua coloured cracked ice mylar from Naio Nails. This looks like a mermaids tail to me, I can't wait to have a play. What do you think? For the theme I'm actually really impressed. 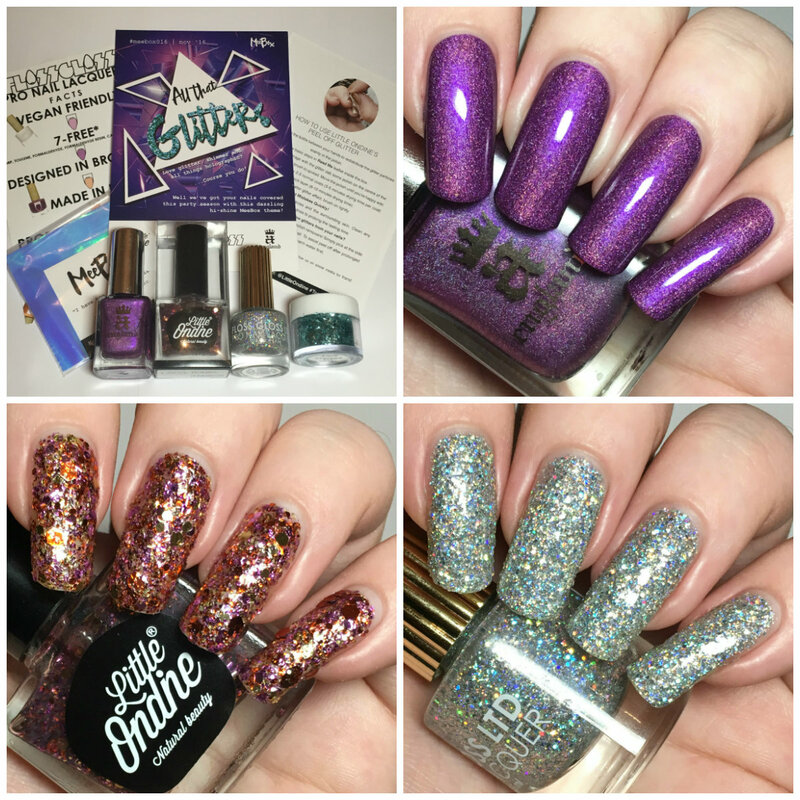 I was expecting the polishes to be fairly similar, and a holographic like the A-England didn't even cross my mind! I also really appreciated the Little Ondine, as glitter removal can be very tiresome. 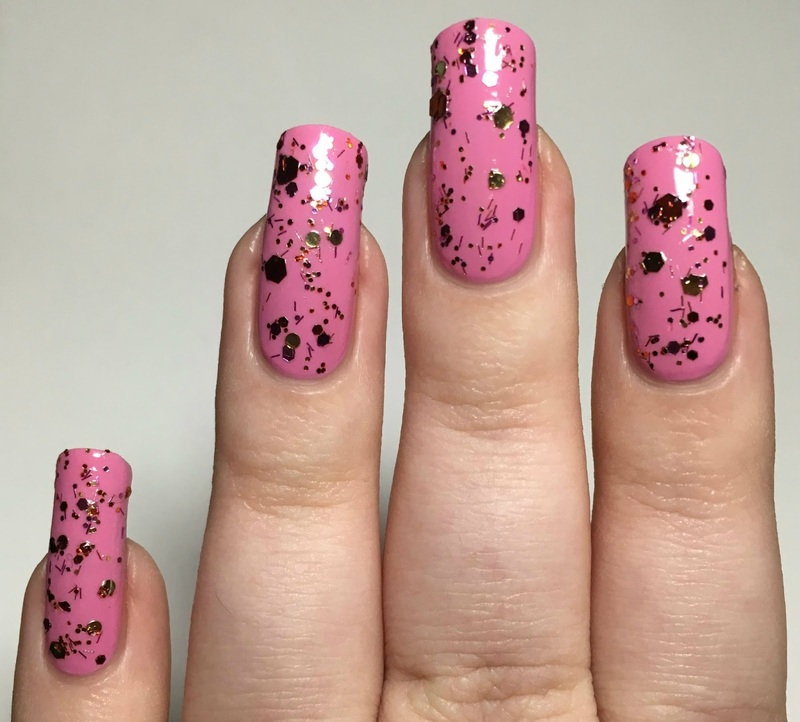 I'm not too sure how I would use all of this in a single mani (as I normally do), but if I figure it out I'll post it soon! Crown of Thistles takes my breath away every time I see it! the purple is so stunning. OMG. How do you even choose a favorite here? Love them all! I looooove that purple holo! Crown of Thistle blows me away. 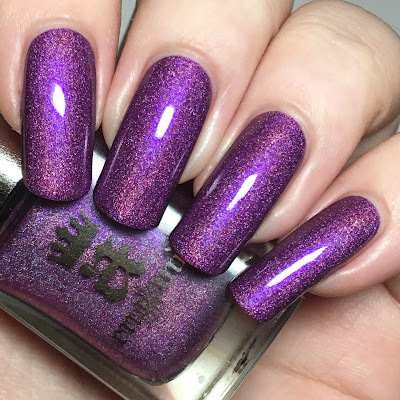 Love Crown of Thistles - I have that polish and it makes me drool!! 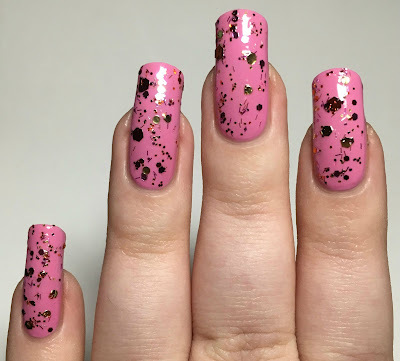 The A-England and Floss Gloss are stunning! I love everything I have from FG! Oooohhhh A-England is totally a shade I dont have and NEED to add to my stash. Gorgeous shades overall but I NEED that one now!! Crown of thistles is one of my favorites. Great box! Crown of Thistles is amazing! I love this box! Crown of Thistles is absolutely gorgeous on you!! Loving this box!!! The A-Englad and Floss Gloss steal my heart though! Gorgeous swatches!